Because of our special relationship with Boucher we can get this as fast, or faster than anyone in the industry. In some cases, we even have preferred build slots we can offer you. 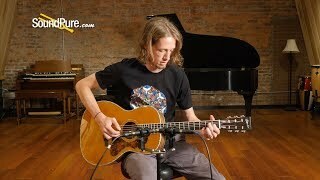 In this video, Sound Pure acoustic guitar specialist Derek Lebo showcases a Boucher Heritage Goose 000-12.